Yes, it has been a while since I wrote anything to my so "up to date" blog. This time I thought of flying in Croatia as a time off for me, time to relax on most peaceful place at Raspadalica take off camp, with out electricity and WiFi. That is why I unplugged everything, even if I had an internet connection at the most untouched place like Raspadalica take off is, but anyway I remain to just have most of the time to fly and relax. 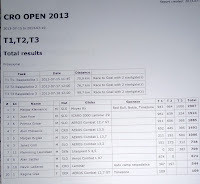 Well, it seemed to work, I ended up first for the first time in the overall ranking in FAI 2 competition. There is a big cut to this glory by knowing there was only 10 of us who came to compete there, but in the end I had 3 really good pilots in the game to count on. 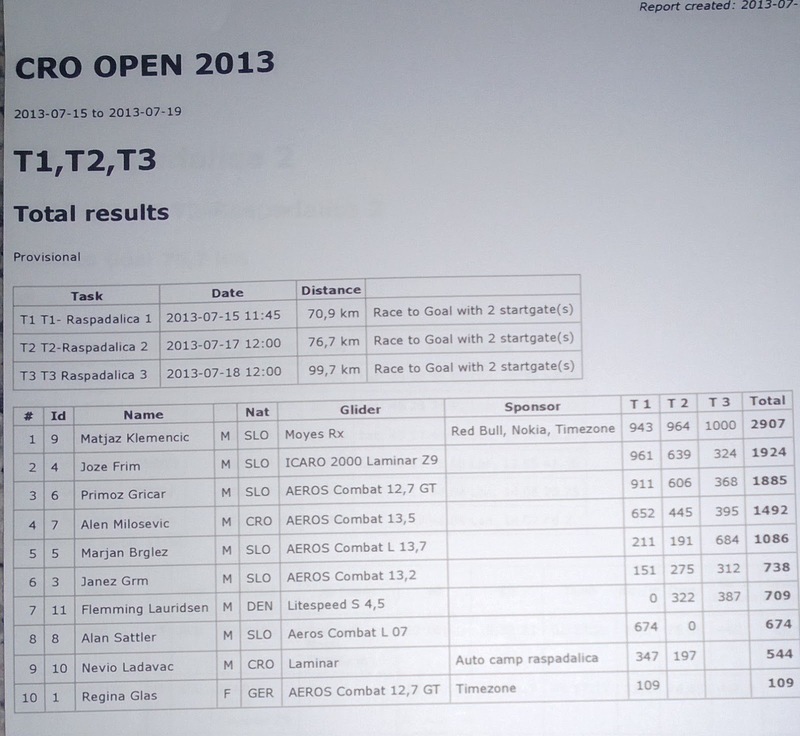 The game changes a lot when you fly with less people, I found my self twice in the leading position at the very first 20 % of the task and had to just fly my own XC flying which in the end showed up as a good example of flying in Istra. 3 good tasks, with first one, neck to neck racing with Joze and Primoz, where Joze took his glory by overtaking me for 2 seconds. Next two tasks where made in a very hard rough air, where we had to really struggle for the position, but in the end, I was always making it, and making it so good that I had to fly by myself to the goal. It helped a lot, that I was there flying already 7th year in a role, knowing the terrain, but E wind was still making lots of questions on how to fly the task in this wind that we where definitely not used to. One big exception was there this year. I was pleased to have been invited to test new Oudie3 from Naviter. The company that runs the See You programming for really long time. Now they decided to give it a go, with super computer whit the knowledge that they have from the programming and flying skills. They came up with this product that has a vario that I can finally hear, a super dedicated map flying where every cylinder that we had to take in the flats, even if I knew where it was, I gained some 100 m from the Compeo fliers next to me. 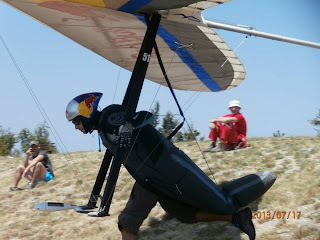 I have it just to test it, till the autumn where the pitot tube will come to satisfy the hang gliding world. Until then, I will try to give the ideas that would satisfy our long needed change in flying instruments. You re invited to join the conversation of what you miss on your flying computer! Just type in the ideas to the comment section bellow. After the competition me and my girlfriend decided to take a chance by visiting the coast at the beautiful Croatia islands with purest water you can see. The plan was to be there until Tuesday, but after one day of laying at the beach, we both agreed to just change the position to Tolmin where things can happen. We are just not the type of people to lay down and relax for "too" long time. Some, ok, but too long, not. Croatia open organizers will do their best to bring more people to the competition next year, I am sure that they will make it as it is just an amazing place to fly and maybe in the end, most reliable of the Europe ones. If anyone has any suggestions for the hang gliding part of the programming of the Oudie3, I will be really happy to hear from you all, the guys working behind that are great and will do their best to finally make a new step in the hang gliding competition instrument evolution. You have the word here! What? Cucco? Berlin? Ager of course!